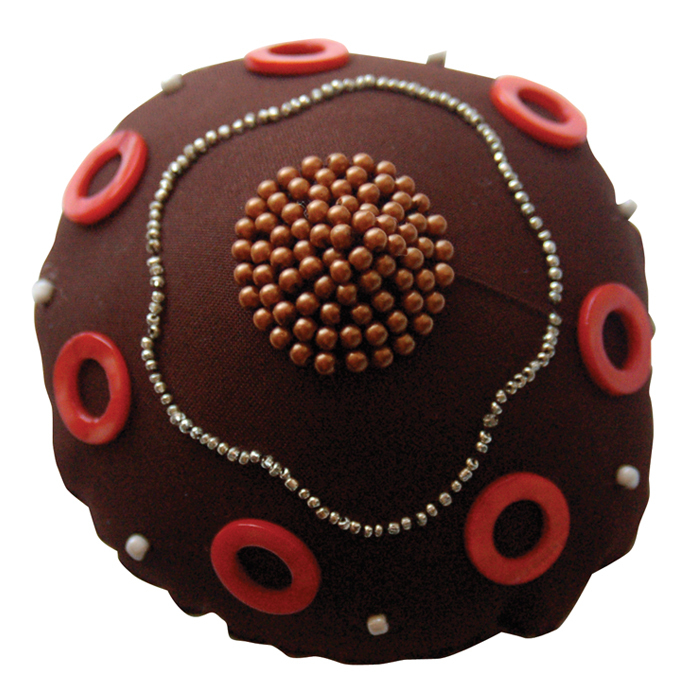 The Burst of Energy Badge of Courage is the perfect gift for someone newly diagnosed with breast cancer. 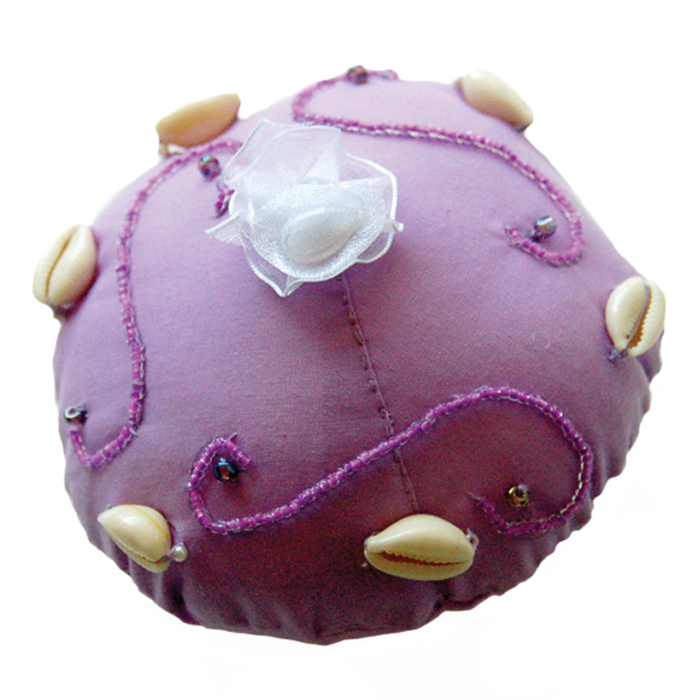 The word COURAGE is embroidered on the back, providing comfort to a woman going through treatment. Its colorful, shiny beads create a star shape that is surrounded by bronze and gold colored glass beads. in the center silver glass beads create a small cone, celebrating the shape of the female breast. 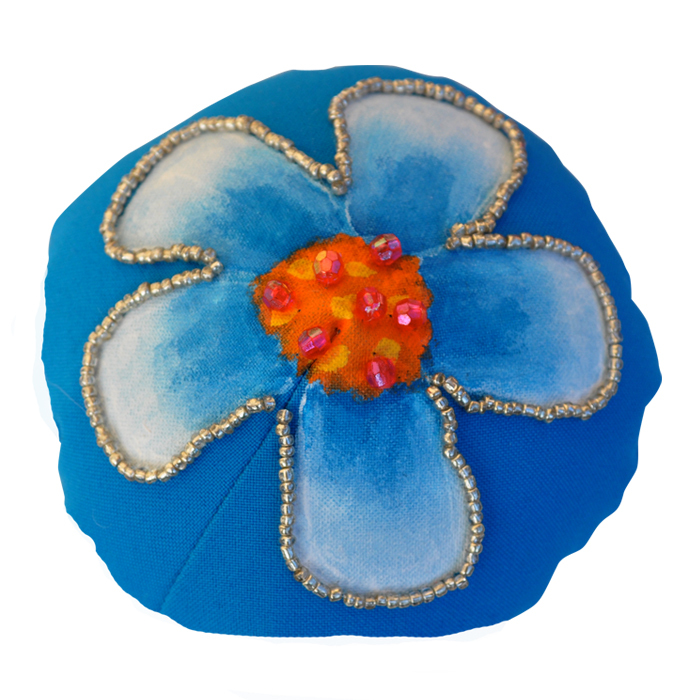 The fabric is a beautiful, rich turquoise color, bringing out the sparkle of the beads. This badge has the choice of the following words: COURAGE (Eng.) or CORAJE (Span.) hand embroidered on the back, providing inspiration to all women. 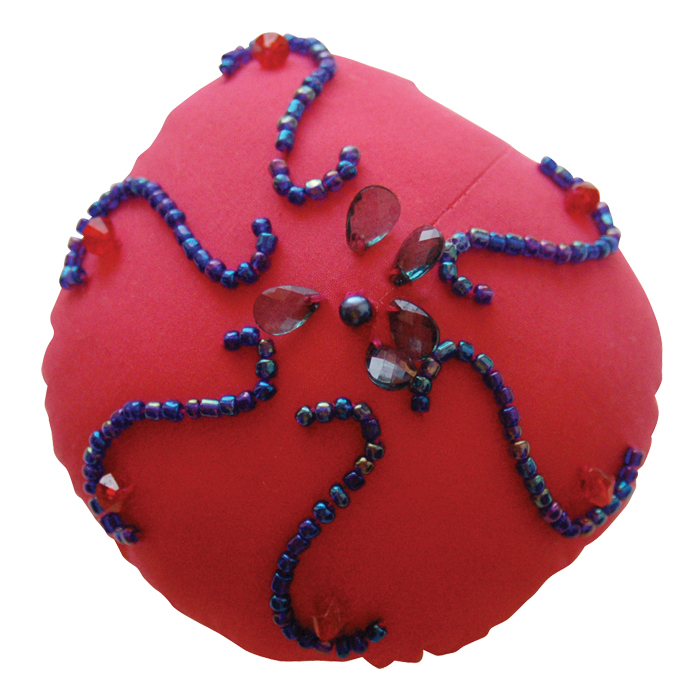 The Burst of Energy Badge of Courage is the perfect gift for someone newly diagnosed with breast cancer. Its colorful, shiny beads create a star shape that is surrounded by bronze and gold colored glass beads. in the center silver glass beads create a small cone, celebrating the shape of the female breast. 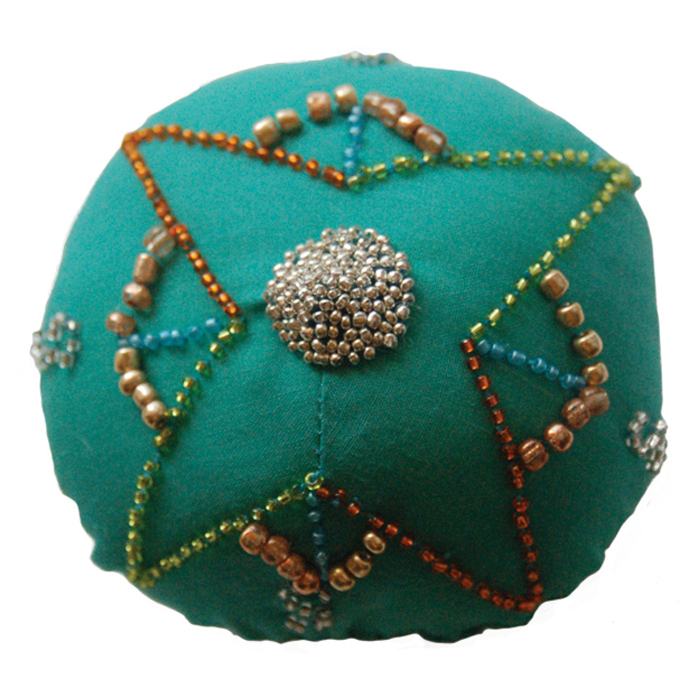 The fabric is a beautiful, rich turquoise color, bringing out the sparkle of the beads. 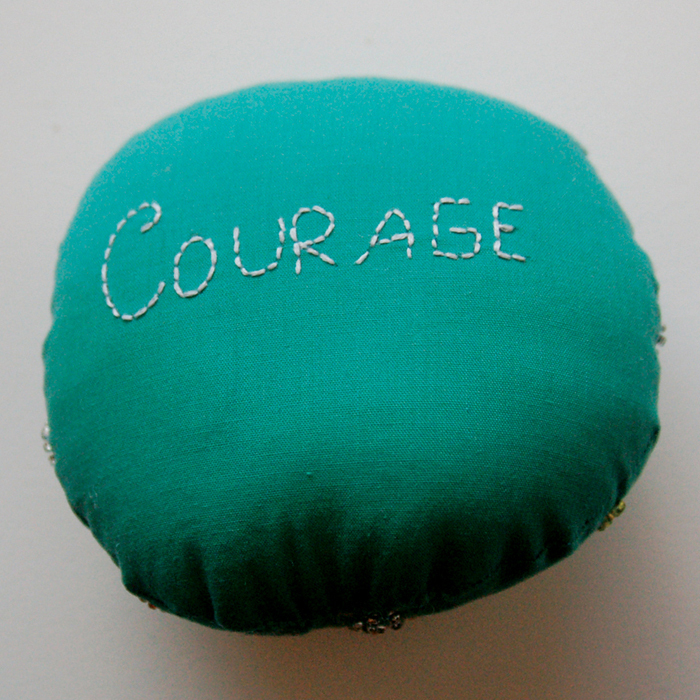 This badge has the choice of the following words hand embroidered on the back: COURAGE (Eng.) 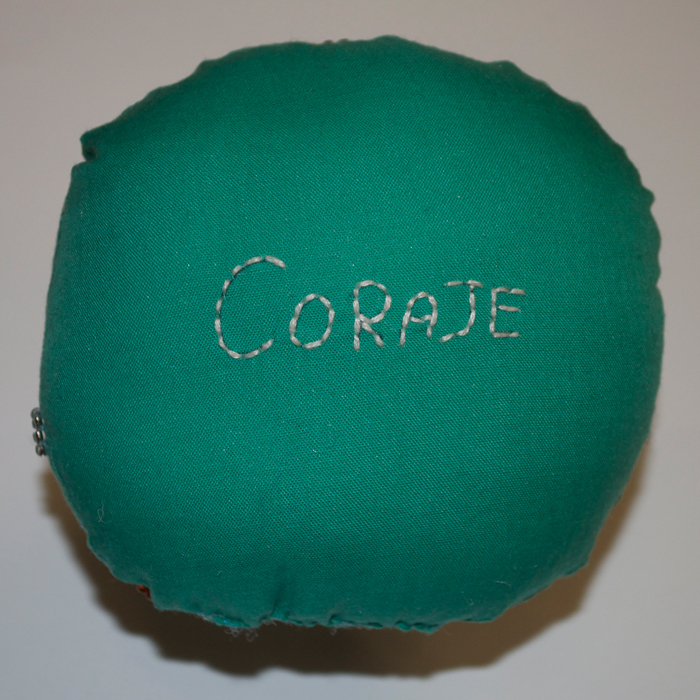 or CORAJE (Span.) providing courage to all women undergoing breast cancer treatment.